Happy early National DIY Day to all my fellow DIYers out there! S U M M E R !! With that mindset, this is the perfect time to prepare for an extended stay by a house or yard full of kiddos! Batten down the hatches mommas! 🙂 Haha! Don’t wave the white flag just yet! 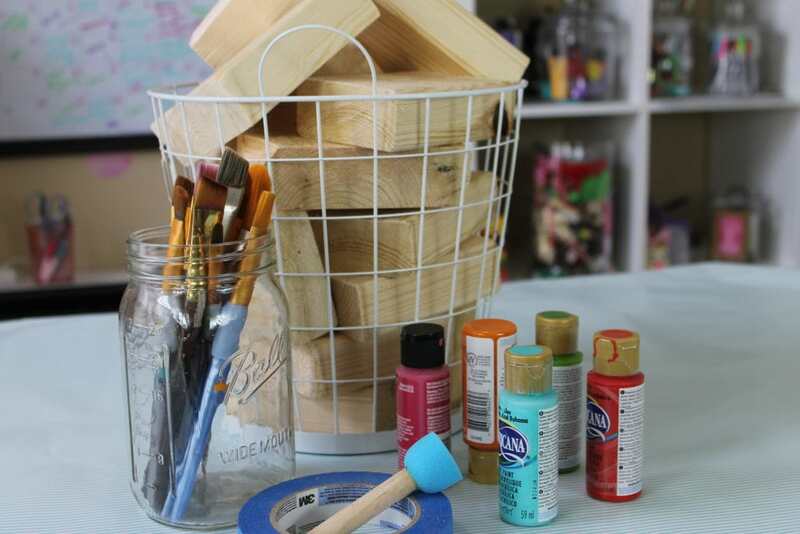 DIY Outdoor Blocks to the rescue! 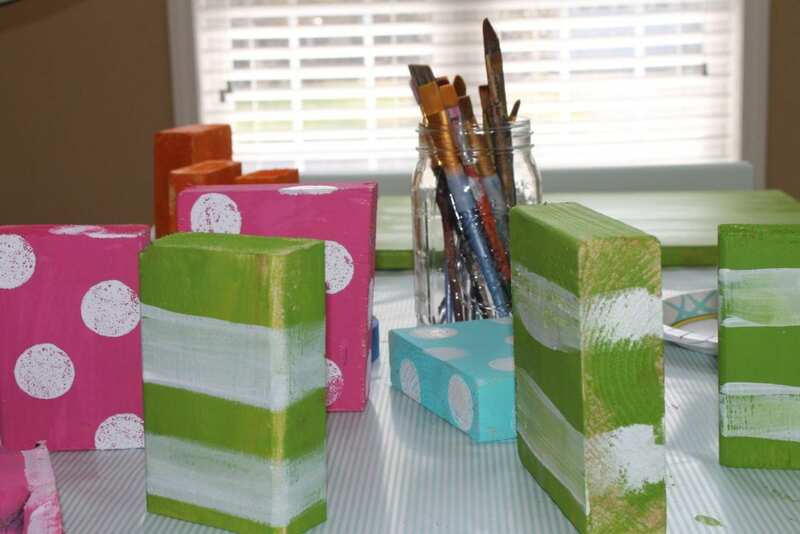 For striped blocks, apply one base color over the whole block. 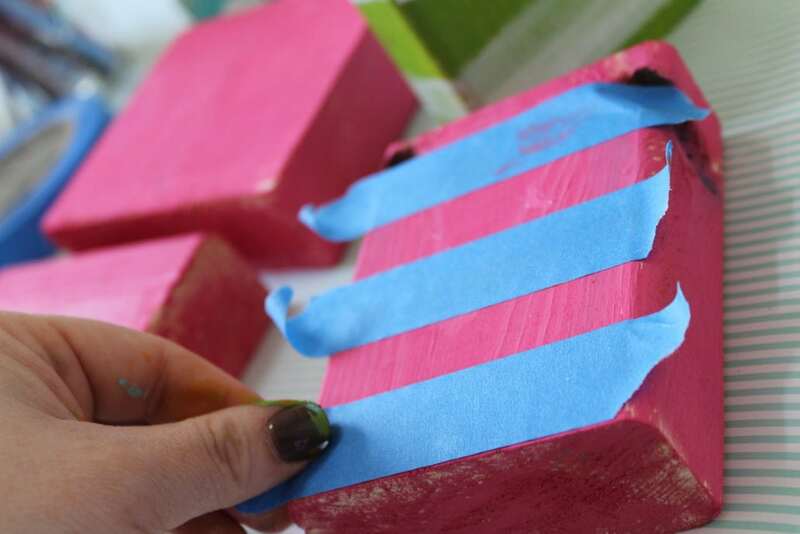 Allow this to dry, then lay your painters tape across the surface, leaving space between to painted the stripes in your second color. I can’t deny that I love these cheap little circle sponge brushes. They are so simple to use! 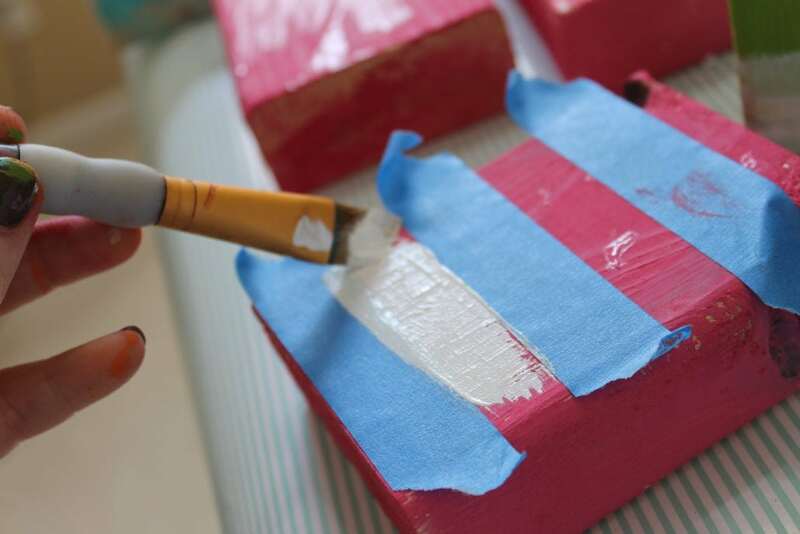 Lay a base coat on your block and let it dry. 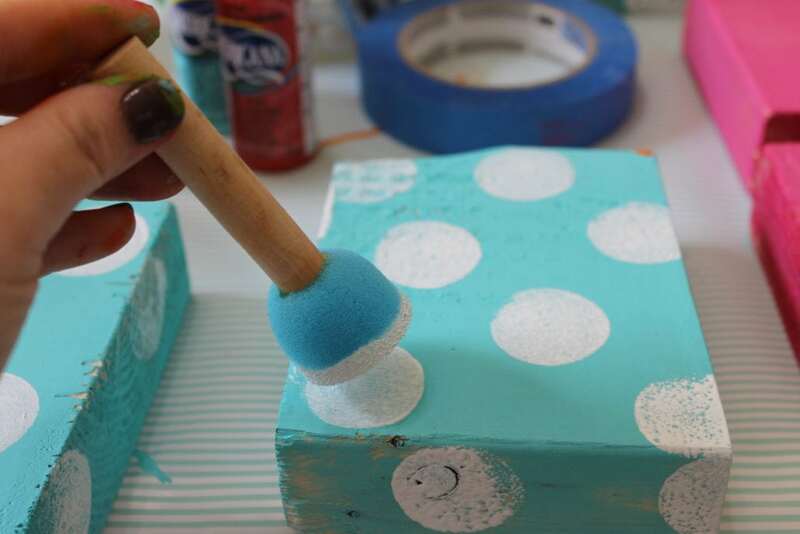 Then just dip your sponge brush into your second color and apply your dots! Easy Peasy Lemon Squeezy! If you’re looking for other Spring Break Staycation or Boredom Buster ideas, click the link below to check out my video featuring a fun variety of outdoor games and toys! 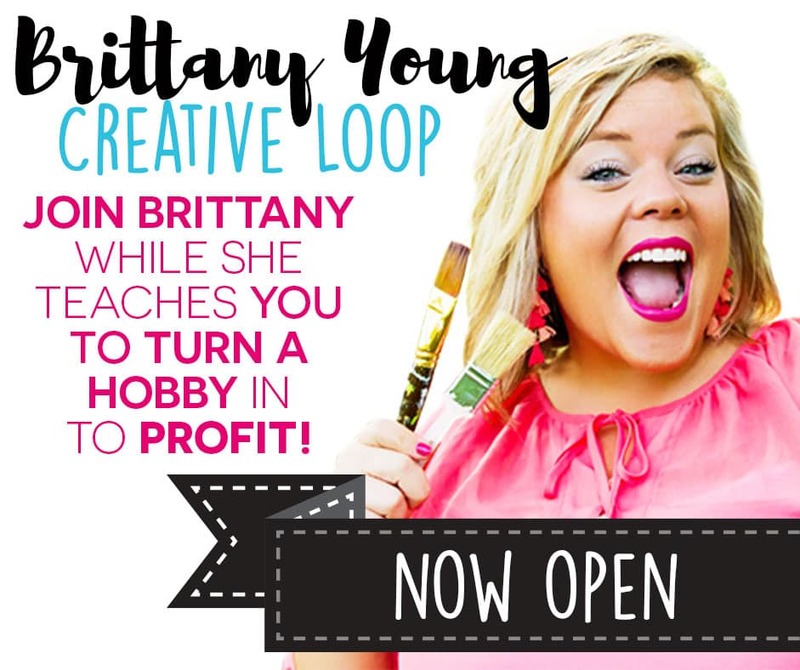 National DIY Day – Let’s Celebrate!